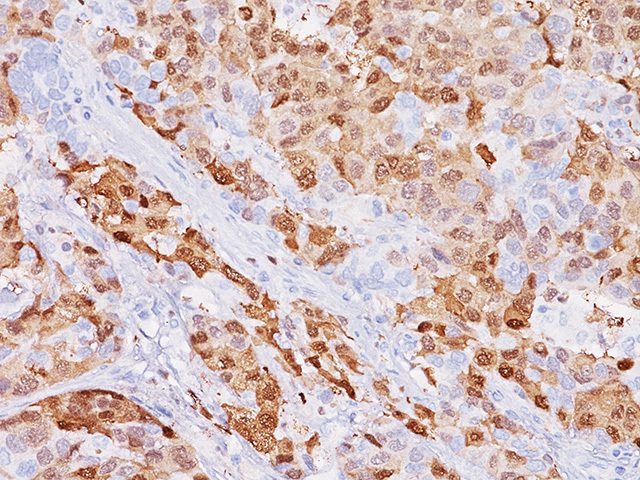 The BC23 antibody recognizes human and mouse MLH1 (80-85 kDa). 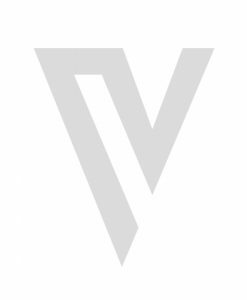 The repair of mismatch DNA is essential to maintaining the integrity of genetic information over time. An alteration of microsatellite repeats is the result of slippage owing to strand misalignment during DNA replication and is referred to as microsatellite instability (MSI) (1-3). These defects in DNA repair pathways have been related to human carcinogenesis. The importance of mismatch repair genes became apparent with the identification of the genetic basis for hereditary nonpolyposis colon cancer (HNPC) (1-3). MSH2 is involved in the initial cognition of mismatch nucleotides during the replication mismatch repair process. It is thought that after MSH2 binds to a mismatched DNA duplex it is joined by a heterodimer of MLH1 and PMS2 which together help facilitate the later steps in mismatch repair (1-3). 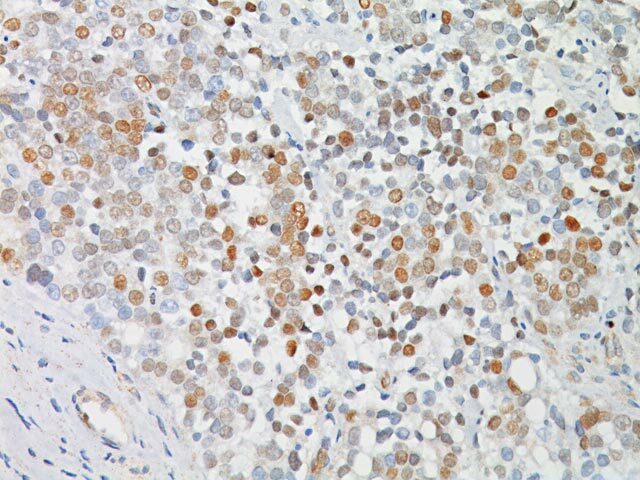 Patients with colorectal carcinoma that is mismatch-repair-deficient and confirmed with immunohistochemistry (IHC) (MSH2/MSH6 negative or MLH1/PMS2 deleted) have shown objective response to PD-1 antibody, pembrolizumab (4). 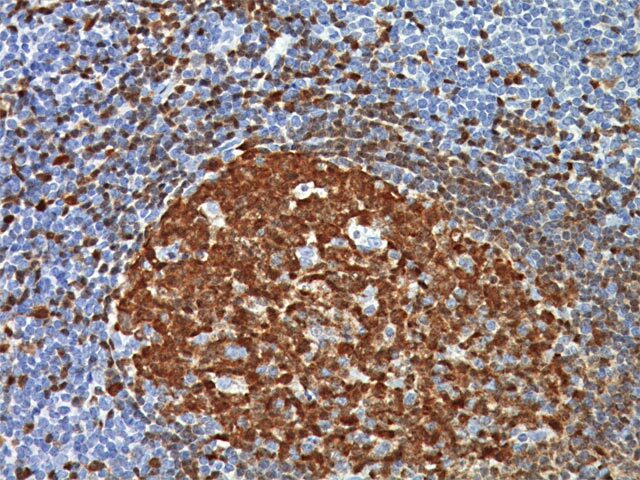 PD-L1 IHC test has been demonstrated to be a useful predictive marker for anti-PD-1 immunotherapy in colorectal carcinoma (5). 1. Vilkin, A, et al. 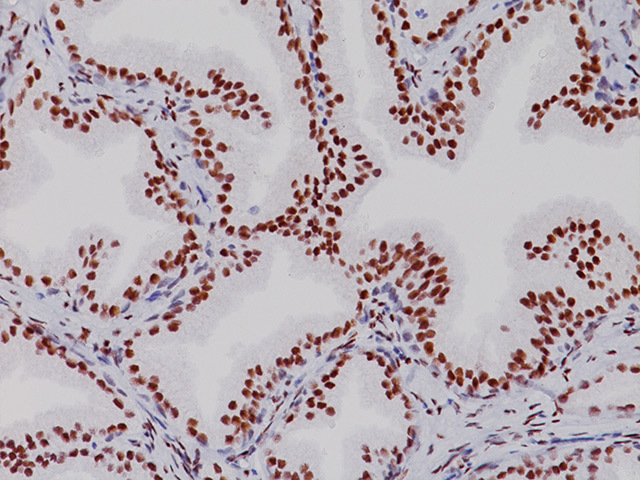 Immunohistochemistry staining for mismatch repair proteins: the endoscopic biopsy material provides useful and coherent results. Hum Pathol 2015;46:1705–11. 2. Djordjevic B, Broaddus RR. Laboratory assays in evaluation of lynch syndrome in patients with endometrial carcinoma. Surg Pathol Clin 2016;9:289-99. 3. Peiro G, et al. 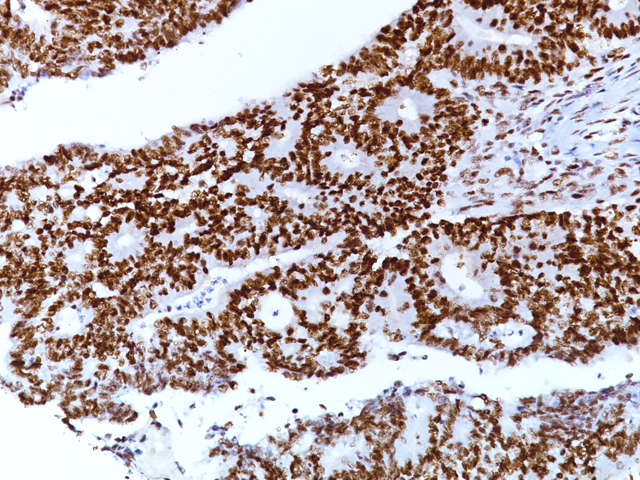 Prognostic relevance of hMLH1, hMSH2, and BAX protein expression in endometrial carcinoma. Mod Pathol. 2001 Aug;14(8):777-83. 4. Lee LH, et al. Patterns and prognostic relevance of PD-1 and PD-L1 expression in colorectal carcinoma. Mod Pathol. 2016;29:1333-42. 5. Le DI, et al. PD-1 blockade in tumors with mismatch-repair deficiency. N Engl J Med. 2015;372:2509-20.